Host Papa is a low cost web hosting provider that serves more than 100,000 website owners, mostly individuals and small and medium sized businesses. Their professional hosting services offer all the required tools and resources to get your website online. They are one of the early adopters of green hosting and their advertised USP include dedicated customer service, maximum uptime, reliable backups and honest business policy. They mainly offer shared hosting, though in recent times they have also added VPS to their product line. You may also be interested in their cloud services to boost your productivity at workplace. Host Papa is a privately owned company that started its operations in 2006. It is basically a Canadian company with its headquarters located in Oakville, Ontario, Canada but they also have their offices in London (United Kingdom), Frankfurt (Germany), North Sydney (Australia) and Niagara Falls, New York (United States). They have been a BBB Accredited Business since August 2010 and have several awards to their credit. With a revenue growth of more than 200% in five years, they made it to the PROFIT 500 list of fastest growing companies of Canada in 2014. Apart from shared, VPS and reseller hosting, Host Papa also offers other products and services like domain name registration, online store tool, mobile website app, SiteLock security, CloudFlare CDN, SSL certificates, website backup, etc. They are 100% powered by green energy. Whatever amount of energy is consumed in their data centers, offices, servers and facilities, they purchase an equivalent amount of green energy tags (certificates) from their green energy supplier who then pumps in that much of wind energy back into the grid. Host Papa offers one simple, all inclusive shared hosting plan that is regularly priced at $6.99 per month for a 3 year term but they have promo running most of the times and you can get it for just $3.95 per month. This is an unlimited plan that comes with unlimited amount of server space and unlimited monthly bandwidth. You also get a free domain name along with your hosting account and can host unlimited number of domains in a single account. The hosting is capable of SSL encryption and supports .htaccess file. You can also password protect your directories. 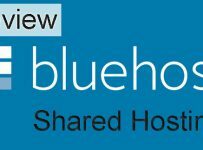 So, what features do you really get with Host Papa shared hosting plan? To be honest, there is nothing extraordinary here that you don’t get with other web hosts. But the good thing is that you don’t miss out on anything either at such a low price. The pocket friendly hosting comes with almost all useful tools and applications you will ever need. Web Designing Tools: Most users, especially those setting up their first website will find these tools helpful. 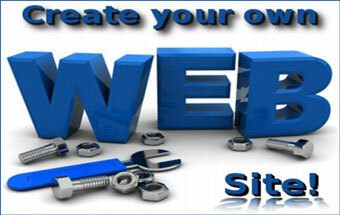 You can either use Website Builder or Softaculous (auto installer) to set up a new website. There are hundreds of ready to use design templates that are completely free. Various types of scripts you can install include WordPress and other blogs, bulletin boards, web auctions, image galleries, Joomla and other CMS, wikis, polls, and more. Multimedia Support: Multimedia has become quite common and is used in most of the web design projects. Host Papa hosting supports various types and formats of multimedia including Flash, Macromedia shockwave, downloadable video files, MIDI files, downloadable audio files, and real audio/video. E-Commerce Capabilities: If you are looking to start an ecommerce website, Host Papa hosting supports that as well. You can get dedicated IP by paying additional charges and also request for an SSL server. Their hosting is compatible with PayPal Merchant account and supports OS Commerce and ZenCart shopping carts. But like any other shared hosting account, this too would be good only for the basic and beginner level. If you are planning something real big, then you should consider going for a VPS or dedicated server. Web Stats Tracking: Though an external web tracking script like Google Analytics or StatCounter would be more useful, if you are looking to view the stats right from your web server control panel, you can make use of the inbuilt applications like Analog, Webalizer and AWStats. You will also have access to raw log files, error logs and web log files. However, note that there is no Google Search advertising (Adwords) credit included. Email Hosting Features: With Host Papa shared hosting account, you can have unlimited number of email accounts along with unlimited number of email forwarders and auto responders. You however get only 5 IMAP connections. The email supports POP3 and SMTP, and you can also set up email aliases, catch all accounts and MX records. 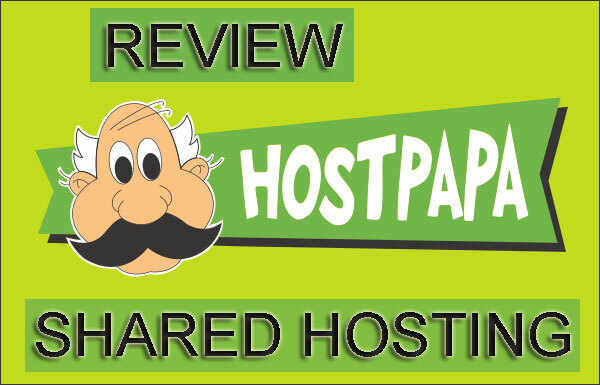 Host Papa offers cPanel, the leading web based control panel to manage your hosting account. Managing your files and folders on the server does not require any technical expertise; you can do it using the web based file manager. For uploading files, you can either use an FTP client or even the inbuilt web based file uploader. A separate section on domains facilitates easy management of all your add-on and sub domains. Apart from cPanel, you also get a customer account with Host Papa where you can view and manage your billing details. You can login to your customer account using your client ID or even through other services like Google, Facebook and Twitter. Host Papa uses high performance servers with Linux OS for their shared hosting offerings, and they have Raid Backup installed on all the servers. The triple redundant firewall makes their hosting even more secure and reliable. 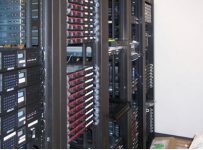 Highly Secure Data Centers: Their data centers have high class security setup like raised floors, fire suppression, temperature control, water detection, fault protection, etc. to protect the servers, equipment and infrastructure. Access to the facilities is closely monitored using alarms, card readers, photo identification, CCTV cameras, optical turnstiles and other security measures. Uninterrupted power supply: The data center building has two dedicated transformers as the main source of power supply; the transformers are fed directly from a local substation. The UPS systems and backup generators ensure that the facility gets power supply without any interruption. Top Notch Infrastructure: They have multiple bandwidth providers for continued connectivity without any downtime. The network is monitored 24×7. They use Intel products for all of their server related equipment, and their network is powered by Cisco. 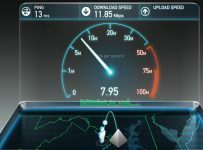 The OC48 and Gigabit fiber connectivity further adds to the speed of your website. Host Papa offers 24×7 support to their customers through phone, email, live chat and support ticket system. Just visit their contact page and you will find the contact numbers listed for over a dozen different countries including US, UK, Canada, France, Germany, Ireland, Netherlands, Belgium, Spain, India and Mexico. These country specific phone numbers and multi language support makes their customer support truly international in nature. Their online database has good number of help articles organized into different categories like getting started, dashboard, account management, email, domain management, ecommerce, website tools, automated backups, etc. For even more detailed help, you can visit their video tutorial on the topic of your choice. They also have a separate page displaying the live status of their services. If there is any alert, service interruption, outage or planned maintenance, you will get to know from here. Host Papa has an ever increasing base of customers; and among all things they do to get more business, customer satisfaction comes first in their list. They have put together a testimonials page where most of the customers have given them good ratings. 99.9% Uptime Guarantee: Host Papa offers a minimum uptime guarantee of 99.9% on their shared hosting plans. They have proper machinery in place to proactively identify and address any potential issue before the problem aggravates and causes you a downtime. 30 days Money Back Guarantee: Complete customer satisfaction or your money back, that’s how they put it. And you get 30 days to try them out without risking your money. If you are not satisfied with their service within the initial guarantee period of 30 days, you can notify them with a request to cancel your account and process the refund. Notwithstanding their feature rich hosting, high uptime commitment and money back guarantee, Host Papa does have their own share of negative reviews. Most of these mainly pertain to non issue of full refund. As per their terms of agreement, you are not liable to get back your setup fees and domain registration charges when you go for cancellation even within the guarantee period. But with the long term plan coming with free setup, you will mostly stand to lose only the domain registration fee, that too, if you have opted for a free domain name. Given the existence of other reputed web hosts in the market, as of now you can only take Host Papa as an additional option to host one or more small websites. But to achieve their motto of becoming a real papa for your hosting requirements, it will still take them some time.